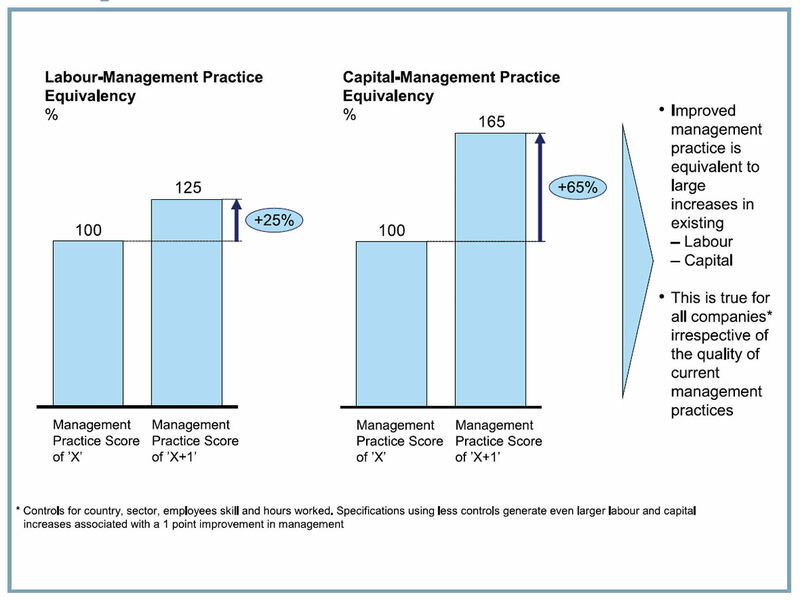 Figure 1: Output increases associated with improved management practices. From Management Practice & Productivity—Exhibit 4. The results are detailed in the white paper, Management Practice & Productivity: Why they matter. The research team scored companies on 18 topics in three broad areas: performance management; talent management, and shop floor operations. The researchers were surprised to find that even though good management practices are well known and the correlation is clear, the reality is that many firms are still poorly managed. To examine possible causes of this disconnect, respondents were asked to assess the overall management performance of their firm on a scale of one to five. The researchers found that part of the problem was an inflated opinion of current management practices. In most cases, respondents over-estimated how they scored on the objective management measures. This situation applied in all regions and across all firms. How would you score the management practices in your company? Here are three well-known manager behaviors essential to good performance. Consider the degree to which these practices are used in your own company. Remember that the key is not knowing about these practices, but actually using them. How would you score your organization when it comes to actually implementing these performance management basics? Performance Planning: Employees have written goals that clearly identify their key responsibilities, goals, and tasks. Performance Coaching: Employees meet with their supervisors on at least a twice per month basis to discuss progress, identify roadblocks, and get the direction and support they need to succeed. Performance Evaluation: There are no surprises when it comes to annual reviews. Managers and direct reports are “in-synch” because performance against goals is being measured on a regular basis instead of once a year. Don’t let an indifferent attitude toward implementing good management practices keep you and your organization from performing at a high level. Take action today. Good management matters! ← Most employees performing significantly below their potential—but does anyone care? Just one comment, I beleive the study shows that an increase by 1 point (not 1%) in the score of management practice results in 25% in labour imporvement. I just checked back through the data and you are both right. Thanks for catching that. I’ve updated my text and the graphic to more accurately reflect this 20% improvement. Thank you. I agree on every word of this concepts: people and organization are an asset of the company at the same level to which finance is. And organizing people, stimulating them and manage them the good way is the basis to reach big efficiencies. The role of performance tools and factors is without doubt one of the key levers to work on, though I think that also a good overall work organization helps in going towards the good direction.